Reflection on the gospel reading: Jesus in today’s gospel offers two brief parables about the kingdom. In the first of these parables, someone allegorically finds the kingdom by stumbling upon it; in the second of these parables, someone sets out with single-minded determination to find it and doesn’t rest until he achieves it. In these parables, Jesus tells us that conversion can occur in many ways: we may sometimes just happen upon it, and after the encounter, it will consume us, or we may search for the kingdom with great determination and discipline. In either case, once we have encountered the kingdom, an individual understands in her or his heart that it is to be preferred over every other thing. Our encounter with Jesus can occur in many ways, but once we have met him, we understand in our hearts that he is to be preferable to everyone and everything else. Saint of the day: In 1491, the year before Columbus encountered the New World, Ignatius was born into a Basque noble family in Loyola, Cantabria. The founder of the Jesuits was on his way to military fame and fortune as a knight when a cannon ball shattered his leg. Because there were no books of romance on hand during his convalescence, Ignatius whiled away the time reading a life of Christ and lives of the saints. 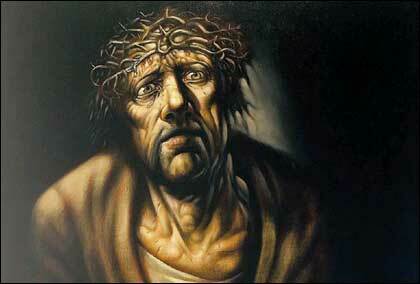 His conscience was deeply touched, and a long, painful turning to Christ began. Having seen the Mother of God in a vision, he made a pilgrimage to her shrine at Montserrat (near Barcelona). He remained for almost a year at nearby Manresa, sometimes with the Dominicans, sometimes in a pauper’s hospice, often in a cave in the hills praying. After a period of great peace of mind, he went through a harrowing trial of scruples. There was no comfort in anything—prayer, fasting, sacraments, penance. At length, his peace of mind returned. He finally achieved his purpose of going to the Holy Land, but could not remain, as he planned, because of the hostility of the Turks. He spent the next 11 years in various European universities, studying with great difficulty, beginning almost as a child. Like many others, his orthodoxy was questioned; Ignatius was twice jailed for brief periods. In 1534, at the age of 43, he and six others (one of whom was St. Francis Xavier) vowed to live in poverty and chastity and to go to the Holy Land. If this became impossible, they vowed to offer themselves to the apostolic service of the pope. The latter became the only choice. Four years later Ignatius made the association permanent. The new Society of Jesus was approved by Paul III, and Ignatius was elected to serve as the first general. When companions were sent on various missions by the pope, Ignatius remained in Rome, consolidating the new venture, but still finding time to found homes for orphans, catechumens and penitents. 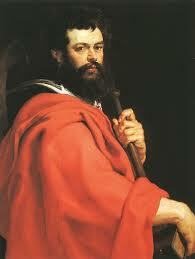 He founded the Roman College, intended to be the model of all other colleges of the Society. 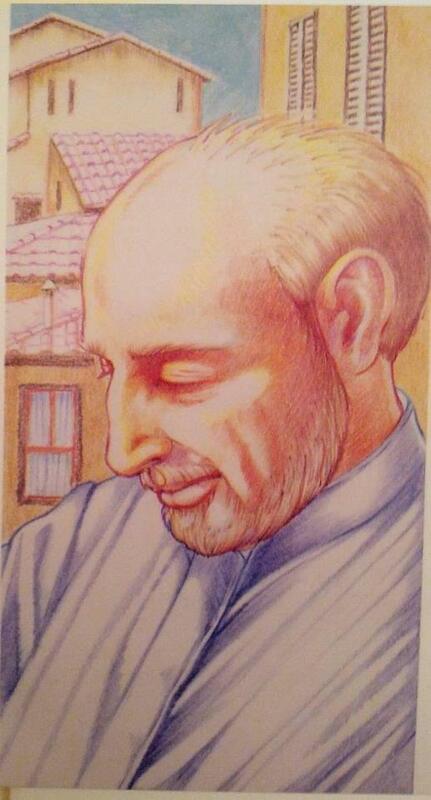 At the heart of Jesuit spirituality are the Spiritual Exercises. These exercises are crucial to the formation all Jesuits, but they also provide a handbook for retreat masters and spiritual directors to guide anyone who is under their care. 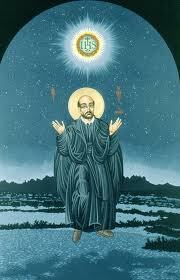 The result of Ignatius’ own experience of conversion, the Exercises are particularly suited to help people individuals to reach sufficient detachment and freedom from inordinate passions when they are trying to make a good choice about their state of life or to achieve some serious reform of character. These spiritual exercises involve a program in several steps. The full-length version of an Ignatian retreat would involve about a month of praying for four or five distinct hour-long periods each day whole otherwise keeping strict silence, but there are also abridged versions for use on three-day and week-long retreats. The first week invites the person making these exercises to confront sinfulness and to accept God’s mercy. 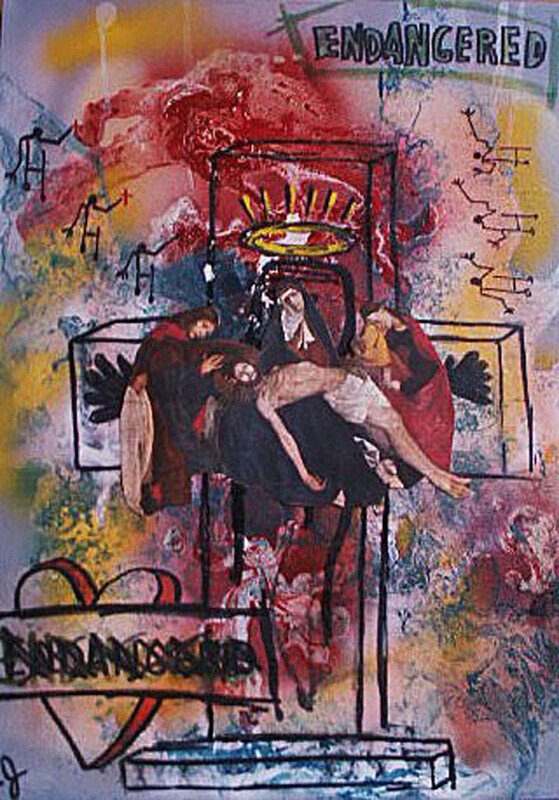 The second week puts the focus of one’s prayer on the public life of Christ, while the third week considers Christ’s passion. 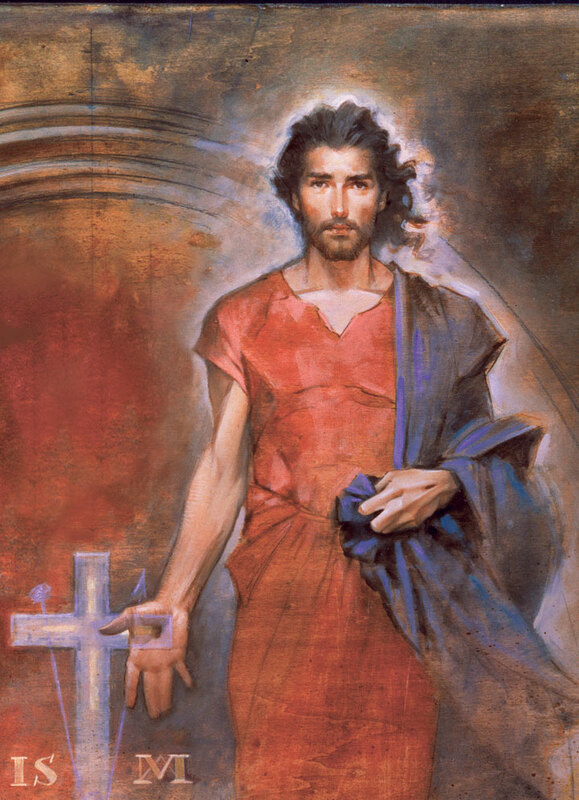 In the fourth week, one meditates on Christ arisen and in glory. In addition, there are special exercises at crucial junctures during the exercises where one is invited to hear the call of Christ the King and to ponder the various degrees of humility with which one might be willing to serve Christ. Reflection on the gospel reading: Jesus invites each of us to live as good seed that produces grain to enrich the kingdom of God, but the Church embraces many kinds of people. We are not the ones to judge the people in the Church. This is for God to sort out on the last day. Vanity of vanities, all things are vanity. Qoheleth, the voice of Ecclesiastes talks of things, possessions and how we hold them in vain. What profit is there when in the end they pass on to another? This same theme we see in the Gospel and in the parable of the rich farmer. Riches and comfort are not what it is about. Certainly, there is nothing wrong with possessions and being rich, the danger lies in greed, in worrying about the “I” rather than what life is about, the “we”. 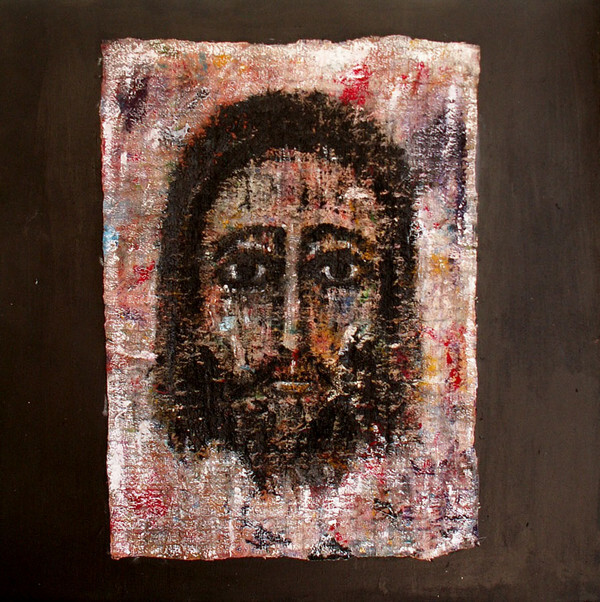 Life and creation is about people and love of God for those made in his image. As a people of God we are called to reach out and share his love in any way we can. Possessions and things are only a means to an end in bringing ourselves to God. Those who are without are not necessarily closer to God, as often the simple task of eking out their existence can be so time-consuming and depressing and tiring, that they have trouble seeing outside of their own situation. If we look around us today, I am afraid we see a lot of such poverty here in our own country and countries throughout the rest of the world. 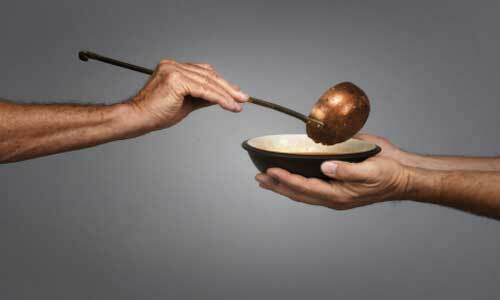 As Christians, the parable today reminds us that greed and selfishness really has no payoff. What we have is gone when we die. At that point, what we have done and what we have been is important. Things are really only tools or extensions of what we are. We can use them for showing and sharing God’s love or we can hoard them and be like the rich man overly concerned about things and comfort. Christianity is a challenge, it is a risk. Christ said “take up your cross and follow Me”. That cross is living day after day as he did and walking as he walked seeking out all who would respond. Every day we walk the earth as Jesus did, but how much time and effort do we give to look around and see the good things and share ourselves with one another. No one said it would be easy, but on the other hand it can become second nature if we prayerfully commit ourselves to living out that challenge. The Eucharist is our daily bread given just so we can carry that cross in every moment of our life. Reflection on the gospel reading: Jesus tells a story of bad seed being sown among good. The servants in the house of the owner of the field wish to pull up the bad seed, but the master counsels to wait and see which seed produces what. In the same way, many of us, as servants in the house of our master, are perhaps tempted to throw out from among the community of believers those who do not conform to our vision of the church, but Jesus in the parable counsels us to wait and let God be the judge. None of us can exercise God’s right to say what is worthy of saving and what is not. Jesus in this passage doesn’t call for a smaller, purer church; he calls for a bigger, messier one. Saint of the day: Sisto Mazzoldi was born in Nago (Trent) on January 13, 1898. He joined the Comboni Missionaries and at the age of 24 was ordained a priest. After a period of formation in the diocese of Trent he was sent on mission to Sudan, mainly to organize seminaries. He spent the next 57 years of his life in Africa. In 1950 he was appointed Prefect Apostolic of Bahr el-Gebel, in Sudan. The following year he was ordained Bishop of Lamus. His activity from then on was to guide and found new dioceses and he helped found four religious Congregations: two Lay Institutes (the Sisters of the Sacred Heart and St. Martin de Porres Brothers, respectively in 1953 and in 1954, in Sudan) and together with Fr Giovanni Marengoni, the Apostles of Jesus (1968) and the Evangelizing Sisters of Mary, Missionaries, in 1977, both in Uganda. For the Apostles of Jesus Mazzoldi himself, as Bishop of Moroto, Uganda, approved the Constitutions examined by the Congregation for the Evangelization of Peoples. In 1980, at the end of his mandate, he stayed on as Bishop Emeritus of Moroto, where he died on July 27, 1987. Reflection on the gospel reading: Jesus explains the parable of the sower of the seeds to his disciples simply. Jesus is being very pragmatic in his assessment of the success of the spreading of the gospel. He says that the gospel will not succeed everywhere the disciples announce it. The reasons for these failures vary, but essentially, the message does not always succeed because the people who hear the message are not in the right state to receive it. Some people stubbornly hold on to attitudes, opinions, and courses of action which make them obdurate. Some appear to receive it, but it doesn’t get under their skin; their lack of resolution or focus keeps them from getting the message. For others, circumstances rise up around the hearers that prevent a successful outcome: sins like anger, greed, sloth, and pride can get in the way. But the gospel will also result in success, Jesus says; the last group receives the message and commits itself to Kingdom values. Jesus is not quantifying the success of the gospel: in some places, of course, the gospel is very successful, and in other places, it meets huge resistance. Jesus gives a lesson here about what we can anticipate when we share the good news, and with this knowledge, attend not only to the outcomes of our missions but also to the outcome of the word in our own lives. 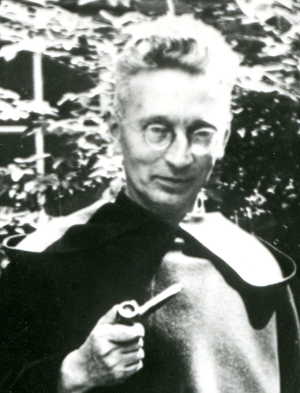 Saint of the day: Born Anno Brandsma, he completed high school studies with the Franciscans before entering the Carmelite monastery in Boxmeer in September of 1898, where he adopted his father’s name, Titus, as his religious name. During the early years as a Carmelite he showed interest in journalism and writing, two activities which would occupy much of his time later on in life. 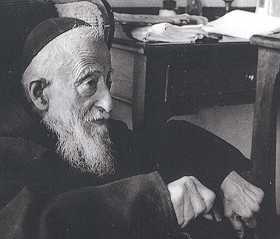 Titus professed his first vows as a Carmelite in October, 1899, was ordained on June 17, 1905, and after further studies at the Roman Gregorian University, graduated on October 25, 1909 with a doctorate in philosophy. Fr. Titus’ entire priestly life was spent in education, although always with a keen pastoral sense of people’s needs. He joined the faculty of the newly founded Catholic University of Nijmegen in 1923, and served as Rector Magnificus, or President, of the University in 1932-33. After this time he resumed his teaching duties, and in 1935 made a lecture tour of the Carmelite foundations in the United States. Just before this lecture tour, Archbishop De Jong of Utrecht appointed Fr. Titus as spiritual advisor to the staff members of the more than thirty Catholic newspapers in Holland; around the same time, the policies of Adolf Hitler, the new German Chancellor, began to be felt in Holland, and were openly criticized by Titus in his teaching and in the press. With the Nazi occupation of Holland on May 10, 1940 began the open persecution of the Jews and the active resistance of the Catholic hierarchy, who announced on January 26, 1941 that the sacraments were to be refused to Catholics known to be supporters of the National-Socialist movement. While Titus’ involvement with this Catholic resistance to Nazi activity was becoming more blatant, it was the Church’s refusal to print Nazi propaganda in their newspapers that sealed his fate. Titus decided to deliver personally to each Catholic editor a letter from the bishops ordering them not to comply with a new law requiring them to print official Nazi publications. 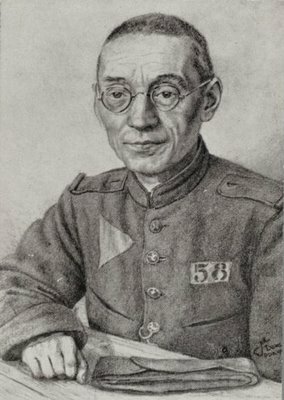 He visited fourteen editors before being arrested on January 19, 1942 at the Boxmeer monastery. Fr. Titus was interned at Scheveningen and Amersfoort in Holland before being sent to Dachau, where he arrived on June 19, 1942. His constitution quickly deteriorated under the harsh regime, forcing him to enter the camp hospital in the third week of July. There he became the subject of biological experimentation, before being killed by lethal injection on July 26, 1942. Reflection on the gospel reading: When God uses the ways we think about things to fulfill promises, God does things with a twist so that God remains faithful to the word we have understood but entirely explodes the concepts we have in our heads so that in the end, the reality of what we receive from God totally fulfills but simultaneously defies our expectations. We have a teaching in this gospel passage that exemplifies this observation about God’s behavior. At the time that Jesus lived, messianic expectations ran very high, and it was a common notion that the messiah would be a worldly though righteous king, a king after the model of David. When the mother of James and John comes to Jesus and asks him that her sons may sit at Jesus’ right and left, her model of Jesus’ kingship is the model of one who makes his authority felt. Jesus, however, uses the moment to teach. The kingship Jesus models for us is the kingship of one who comes not to be served but to serve, one who offers a cup he will wish to avoid, a cross he will have to carry, and a life offered as a ransom that others might live. And so it will be with us if we should wish to be first: that we should make ourselves the last and the servants of everyone else. 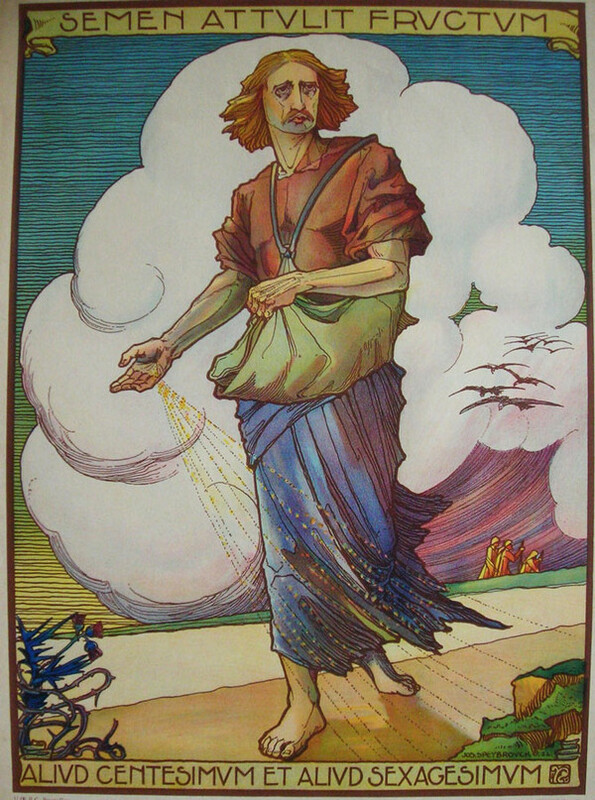 Reflection on the gospel reading: The sower in the parable works in soil that sometimes is receptive to his efforts, sometimes not, and sometimes in between. Even though the soil produces variable results, the sower’s efforts are ultimately rewarded by the planting of seed that bears an extraordinary harvest. Jesus tells us that the ultimate success of the Kingdom is something to which we ought to give our assent, and the observation implicitly invites us to do just so. 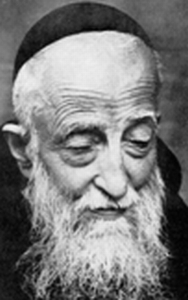 Saint of the day: Ezechiele Ramin was born in Padua in 1953, the fourth of six sons in a modest family. In 1972, he decided to join the religious institute of the Comboni Missionaries of the Heart of Jesus; his studies brought him to move first to Florence, then to Venegono Inferiore, and finally to Chicago, where he graduated from the Catholic Theological Union and served in the St. Ludmila Parish. After having experienced missionary work with impoverished Native Americans in South Dakota and later, for one year, in Baja California (Mexico), he was ordained a priest on 28 September 1980 in his native Padua. He was assigned to a parish in Naples but, following the 1980 Irpinia earthquake, he moved to San Mango sul Calore to assist the victims; he returned to Naples in 1981. The following year he moved to Troia in Apulia, where he acted as a focal point for vocational groups. In 1984, he was assigned to Cacoal, Brazil. 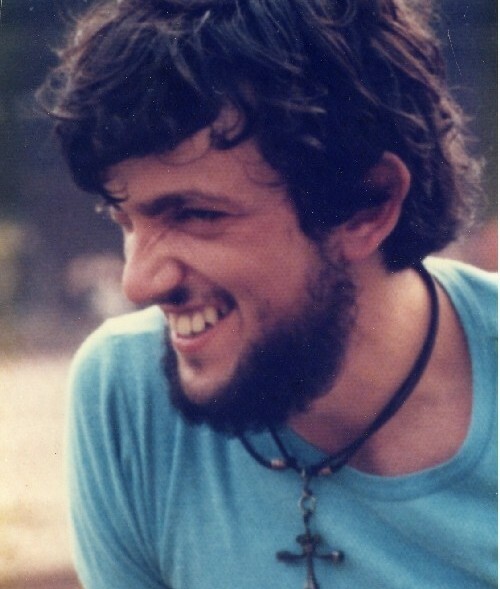 On January 20, 1984, he moved to Brasília, where he underwent further education in pastoral care, and finally reached Rondônia in July of that year. He seemed wary of the situation in Cacoal, but accepted his assignment with the words “If Christ needs me, how can I refuse?” There he encountered a difficult situation: the many small farmers of the area were oppressed, through both legal and illegal actions, by the local landowners. Also, the indigenous Suruí tribes had only recently been forced to become sedentary by being allocated land by the Brazilian government and were growing restless. Inspired by the teachings of Dietrich Bonhoeffer, he put himself to the front in their struggle for justice, trying to lead them to a nonviolent protest rather than to start an armed revolution. The situation he was in brought him to fear for his life. In early 1985 he was threatened of being killed; in many of the letters he wrote to his family in that year he wonders if he will ever see them again. On July 24, 1985, Father Ramin, alongside a local trade union leader, chaired a meeting in the nearby state of Mato Grosso, trying to persuade the small farmers employed there to avoid taking arms against the landowners, going against a request of caution issued by his superiors. On his way back with de Souza, at midday, he was attacked by seven hired gunmen who shot him more than 50 times. Before dying, he whispered the words “I forgive you.” As Father Ramin’s body couldn’t be recovered by his fellow missionaries for about 24 hours after his death, a group of Suruí indios kept vigil until their arrival. 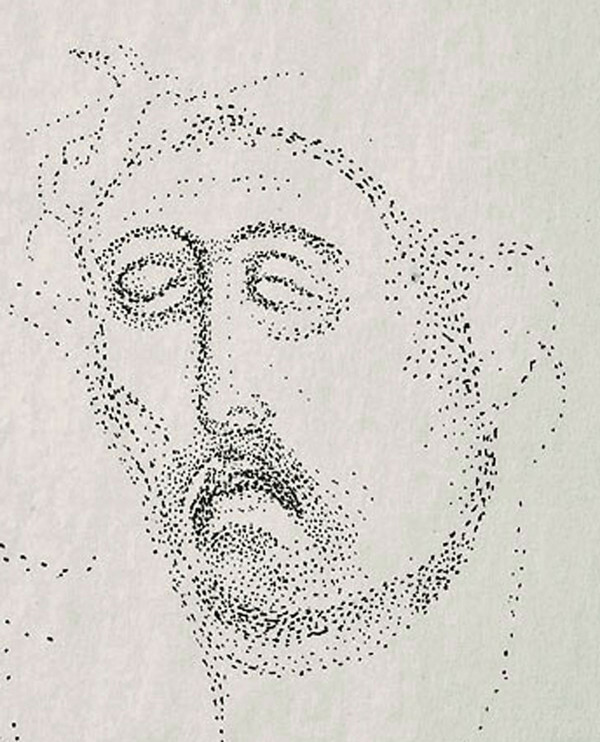 He was buried in the Padua Cemetery. Today, the readings talk of prayer and communication with God. Prayer can be communal, liturgical or personal. Abraham’s prayer today was in the form of a negotiation or bargaining. Ultimately, he lost when ten righteous people couldn’t be found. Jesus sums up how to pray in what we call the Our Father or Lord’s prayer. We see Luke’s version in the gospel today. Prayer by analogy is often seen as a child asking a parent for one thing or another. The gospel points out that as in human terms persistence counts as God like a parent wants the best for his child. Often this means that what is received is not always what is requested, but ultimately what is best for the person. We all know that not getting what we want is part of growing up and part of the human condition, part of how god cares for us. However, God looks after us and hears and opens the way for us as we go forward, even if the path is unknown. Personal prayer is communicating with God. In this day and age the idea of communicating is complicated or so we think what with electronics, and Facebook and twitter and all the other social media. Texting even seems to have replaced talking in some people’s reality. 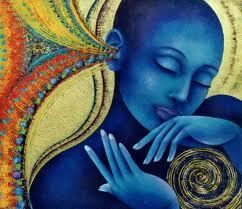 Really, how often in our day do we experience silence, the lack of sound other than the human voice? When and where can we best think and express ourself, our thoughts, our wishes and concerns to God. It is something we do in our own self in our own mind. Perhaps in the car, turn off the radio and communicate as we drive in a long commute. Many times in our day at work or at home, why not take a few minutes to lift ourselves up by drawing into ourselves. Prayer is not complicated, but a way to know God by turning our thoughts, our mind and heart to him. We can voice our concerns and wishes and needs and turn them over to him. Like the analogy He listens and in some way will reply if we persist. As we grow and develop, we will come to see prayer is a way of life, of action, of forgiveness, of doing for others as they do for us. Together we seek and knock and God will always open the doors for those He loves. Reflection on the gospel reading: The gospel passage contrasts two kinds of relationship with Jesus. The first relationship, familial kinship, the natural bonds of affection which connect siblings to one another and their parents powerfully pulls on our psyches. It bears all the weight of shared genes and history, and Jesus in this passage is not belittling the importance of such relationships. In fact, in the implicit acknowledgement of the importance of such relationships, he is pointing to the proportionate weight of a relationship he perceives as even more essential. Jesus is saying that no matter how important family is, the deepest relationship is the one which results from our connection to God. When another believer is mother to us, such a person nurtures us in a life of faith, hope, and love. When another believer is sister to us, such a person sticks with us through the good times and rough patches. 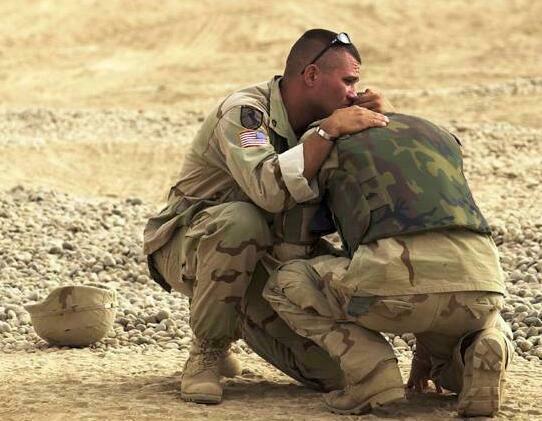 When another believer is brother to us, such a person has our back and guards us when we are most vulnerable. Blood may be thicker than water, but baptismal water is thicker than blood. Saint of the day: From age seven on, Bridget had visions of Christ crucified. Her visions formed the basis for her activity—always with the emphasis on charity rather than spiritual favors.